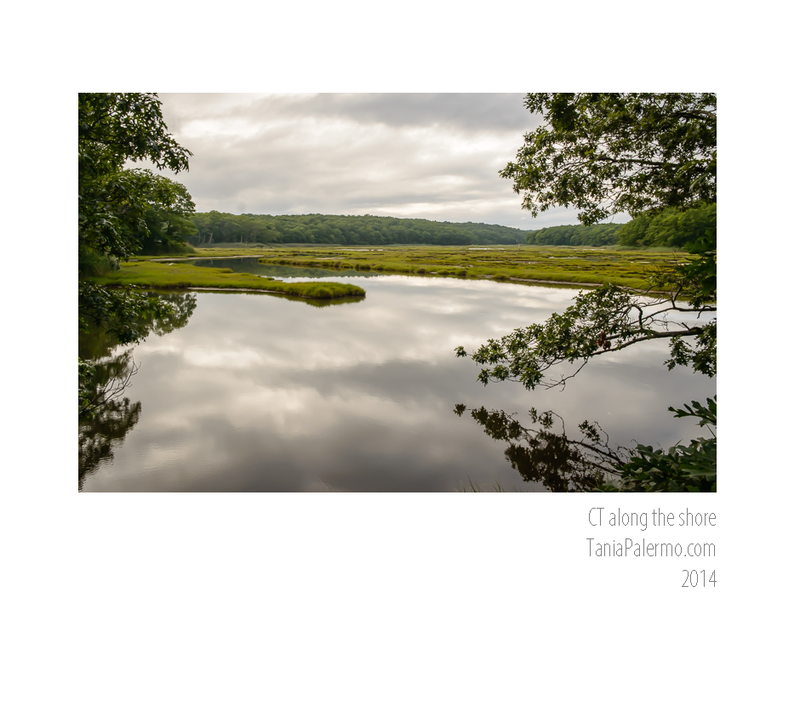 This image was created for and hung in a juried show at The Stone Crop Gallery in Maine. The title of the exhibition was “Love, Hate & Everything In-between” and was left open for wide interpretation. In the several weeks spent musing about what I wanted to create I listened to a TED Talk about creativity given by Elizabeth Gilbert. She explored where creativity comes from and offered a theory of a “creative genius” – that we all have one – rather than we can all be one. My interpretation of what she offered is one that is also encountered in the book “The Artist’s Way”. That is that we as artists are responsible for showing up to do the work – but this creative genius – or spirit – is responsible for the inspiration and the quality. Still in the process of deciding what to make for this exhibit I visited a friend at her lake house. In the middle of telling her about the TED Talk, my “creative genius” tapped me on the shoulder and I had a vision of this photograph. It was persistent and insistent. I knew I had to make this picture that day. It took me several hours to talk my friend into climbing into the lake to be my model – and I’m so glad she did. The original title for this piece was “Paralyzed by fear (thoughts of inadequacy)”. 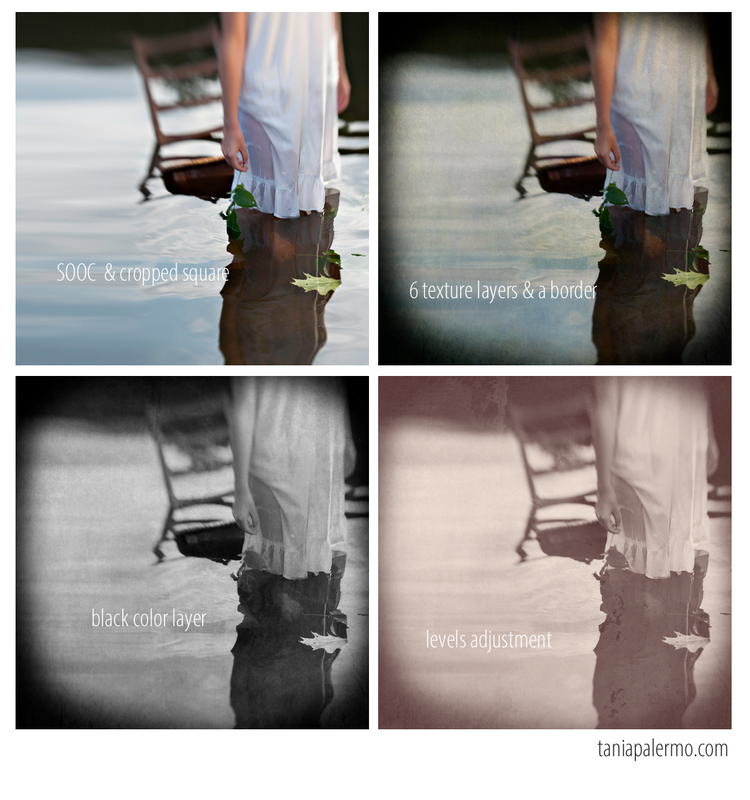 I’d decided that in relationship to self we can experience “love, hate and everything in between” and created a set of six images with themed titles. A fellow photographer came to me one day a little miffed and said he didn’t like the title because it limited what he saw. He found beauty in the image and thought others might as well. So in his memory I changed the title to make room for each viewer to take away their own meaning. A 30″ x 22″ framed print of this image is available in the studio at 264 Main Street in Manchester, CT. We are open Tuesday – Saturday by appointment and be reached by email: tania@taniapalermo.com or phone: 860.306.0067. #4 Increasing your intake of water is one of the most overlooked free and easy tools available to you to increase your health and wellness. Since I am not a nutritionist or medical professional I don’t feel qualified to educate you on the importance of water in regards to our biological functions. As someone who lays her hands on bodies, palpating muscle tissue to assess suppleness, flexibility and areas of “stuckness” I’d lay odds that lack of hydration contributes to many of the aches and pains my clients report. Most mornings, before doing anything else, I drink at least 24 ounces of water mixed with apple cider vinegar, fresh squeezed lemon juice, real maple syrup and cayenne pepper. This is both hydrating and alkalizing for the body. If I had to guess I’d say most of the people I know don’t drink 24 ounces of water in their whole day. An easy guideline to follow is to consume half your body weight in ounces of water every day. So, if you weigh in at 150 pounds, you’d aim to drink 75 ounces of water daily. Of course, this can vary. If your diet is mostly fresh raw fruits and vegetables you’ll derive some of your hydration from them. If you go do hot yoga for 90 minutes you’ll sweat out more than usual and need to increase that number. I’ll let you do your own research and make your own determinations. Those are some of the most common things I get asked to help with during massage sessions. I’d recommend experimenting. Take stock of how you feel day to day. Increase your water intake and see if anything shifts. I’d love to know if you make this subtle shift in your daily routine if any of your chronic aches and pains start to decrease. Cheers! If I had my way, the money, the resources, etc most of my photography would be made using old processes. It’s not that I’ve done then so much as I admire the craft. The risk. The patience. The time invested. The skill that has to be developed. This is my first attempt at giving a nod to tin type, digitally. The first image is one I took last week, with something like this in mind. A Lensbaby Composer was used to give the natural hazy/blurry feel. I quite like it as is and enjoy the mood that’s created with all the texture layers. Which one speaks to you the most?